The Profoto Air Remote TTL-F supports wireless TTL and high-speed sync between Fujifilm cameras and the Profoto B1X, B2 and D2 studio flashes. Profoto has announced an expansion to its AirTTL offerings by adding support for Fujifilm cameras. The newly-announced Profoto Air Remote TTL-F allows Fujifilm cameras, including the medium-format GFX50, to use TTL and HSS with Profoto AirTTL flashes, such as the B1x and B2. This will be the fifth brand that is supported by the AirTTL protocol, after Canon, Nikon, Sony and Olympus. 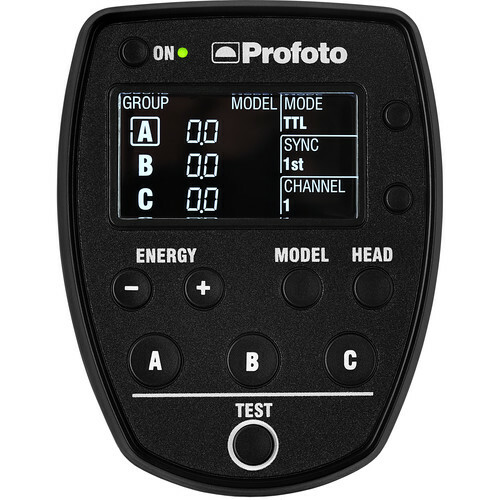 The Profoto trigger will start shipping at the end of 2017 and it is expected to be similarly priced as the existing AirTTL Remotes for other brands. In a previous post, we discussed a rumoured new Profoto product. While we already noted the possibility of a Fujifilm trigger release, we do not believe that this is the new and exciting Profoto product that has been teased. At the moment, we believe Profoto will introduce a new version of the B2 TTL flash, perhaps with a different form factor.